One of the most interesting branches for talking about processes is the travel industry. 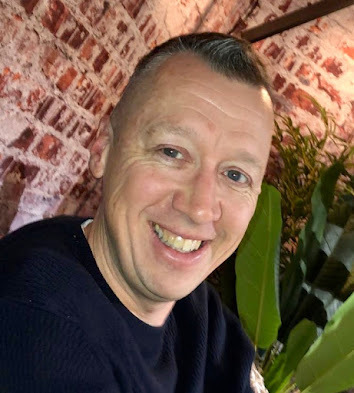 All across the Internet you will find references to solutions, offerings and products that try to align with the travel industry BPM solutions. Whether you are talking to an airline, a baggage handler, a bookings agency or anything in between, they all have one thing in common. 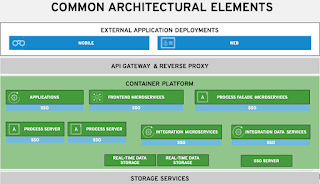 They are dealing with complex business processes that often have a need to combine rules, events and processes. 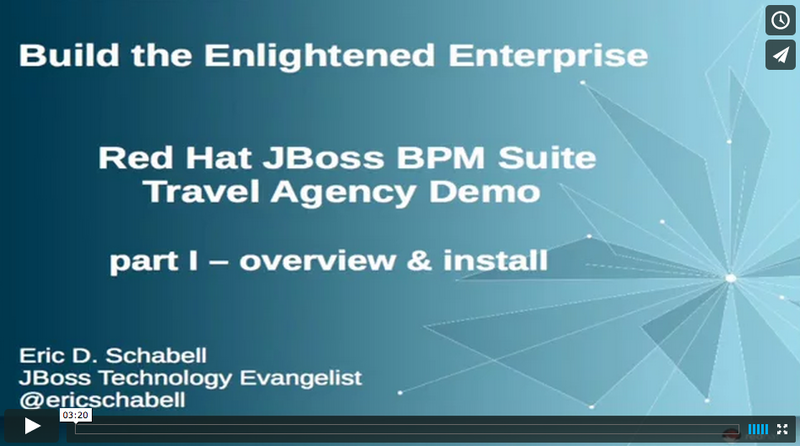 Within the JBoss BPM Suite product you will find exactly that, the tools and theory brought together in a single workbench to make your travel solutions into reality. 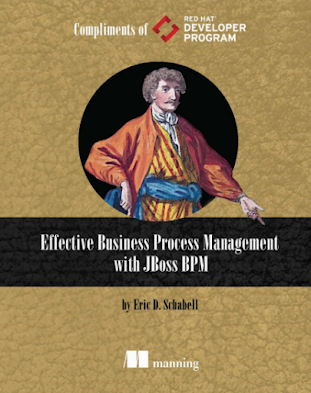 In this article we present a brand new JBoss BPM Suite demo project that is simulating a travel agency booking system. This project was put together by a couple of colleagues in the UK, Niraj Patel and Shepherd Chengeta. I got the chance to spend a few days with them onsite in their offices there and we brainstormed some of the details you will find encapsulated within this project. It is a job very well done on their part! The Travel Agency Demo will ask for the customers initial booking information, once submitted various backend services are used to request hotel information and flight information, the final itinerary with full overview is presented for validation or review depending on the rules outcome. Completed booking information for approval. The demo will be given to you in a foolproof installation to get you started, then show you a complete online travel agency project you can experiment with, provide a completed travel agency project for your evaluation needs, and follow up later with video content around the creation and execution of this demo. Run 'init.sh' or 'init.bat' file. Start JBoss BPMS Server by running 'standalone.sh' or 'standalone.bat' in the /target/jboss-eap-6.1/bin directory. The form presented initially to submit a travel request can be adjusted in the Number of Travelers field, with 6 giving one path through the process and 2 another, feel free to experiment with this. 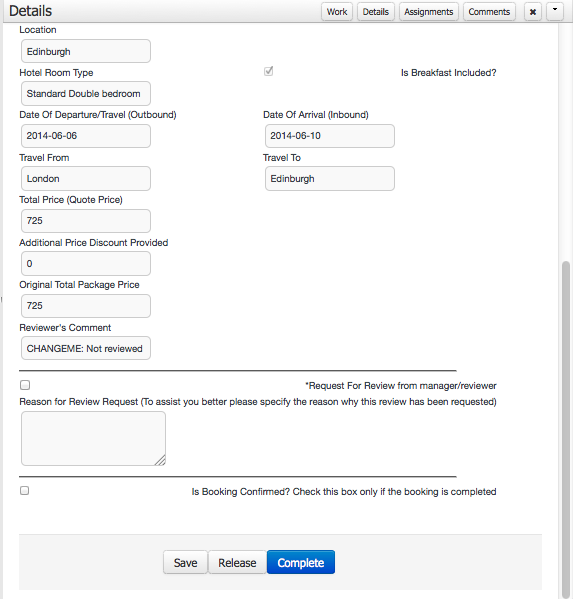 Two web services will be run and a sub-process to calculate the cost before deciding it is not needed that this booking be reviewed on pricing, so you will find a task 'Employee Booking' for you to process. Fill in the form provided for the task, it allows review of all the booking data submitted, generated by services and calculated by the rules. You can request a review to send it back for a pricing review or check the completed box to finish the task and process. To trigger different path for evaluation, just change the 'Number of Travellers: 2' in initial submission form. We hope you enjoy this project and all feedback is welcome, including any improvements you might want to push back into the project. 4 part video series start available online.